By 1960, an expansion campaign into Melbourne's outer suburbs had seen the VFA competition grow to an awkward size, with an unprecedented 17 teams competing for the premiership. This caused the Association to break with their traditional finals format, replacing the Final Four with a Final Six. However, the finals series was a drawn out and complicated affair which left spectators and officials largely dissatisfied, and proved to be a catalyst for a major change in the VFA's structure. VFA President, Alex Gillon proposed the Association be split into two divisions, with the top 10 teams of 1960 forming the First Division and the bottom 7 teams being joined by a new club to form Second Division. Much discussion followed and in December 1960 the issue was put to a vote at the VFA's Board of Management meeting. Three-quarters of the vote was required for the motion to be successful and the final tally was 27-9 in favour of a divisional system - exactly the 75% minimum required. As Marc Fiddian noted in The Pioneers the proposal would have been defeated if a missing delegate had been in attendance: "Mordialloc delegate Jack Dankert senior did not get to the meeting as his wife had just had a baby. Had Dankert been present the proposal would have lapsed as Mordialloc, along with Dandenong, Camberwell, Preston and Sunshine opposed the idea." It is interesting to note that Mordialloc (7th) was the only one of the would-be First Division teams to oppose the plan and three of the potential Second Division teams actually voted in favour of the concept: Northcote (12th), Brighton (16th) and Prahran (17th). The VFA approached Springvale, a dominant club from the Federal League, to be the 8th team in Second Division but the Vales rejected the offer (they would eventually join the Association in 1982). An offer was then made to East Malvern who also rejected the invitation. The vacancy was finally filled by Glen Waverley, who changed their name to Waverley upon entry to the VFA. For all but four seasons, the divisional football system worked on a one up, one down basis with the bottom team of First Division relegated and the premier team of Second Division promoted to take their place. Exceptional circumstances resulted in more than one team being relegated in 1963, 1981 and 1985 (see below for more details). Northcote's 1982 Second Division premiership team became one of the unluckiest clubs in Australian football history; after waiting 24 years for a shot at First Division, the Dragons finally won the flag only to miss out on promotion due to a quirk of fate. Prior to that season the VFA had conducted a sweeping review of the divisional system and decided that no promotion or relegation would take place in 1982: the only season between 1961 and 1988 this occurred. Northcote had no choice but to resume in Second Division and within five seasons the club had folded. A promotion playoff also existed in 1961-62. This end-of-season match gave the runner-up in Second Division another shot at promotion by beating the second-last team in First Division. The playoff concept was not supported by clubs or fans and was discontinued after the 1962 match. (*indicates a team that returned to the top flight in 1989 after the divisional system was scrapped and the teams were merged into one competition). Moorabbin - winners of the First Division premiership - were suspended from the VFA for surrendering their home ground to a VFL club (St Kilda). The Second Division runners-up (Waverley) were promoted to replace them. By the end of the 1970s the VFA was struggling on a number of fronts. Divisional football, which had been successful during its early years, was becoming a financial impediment for the Association. Teams such as Mordialloc and Brunswick had earned promotion but were struggling off-field due to factors such as low supporter numbers, lack of sponsorship, and heavy debts. In contrast, teams such as Oakleigh and Williamstown had been relegated after poor seasons on-field then remained trapped in Second Division despite their off-field strength. - First Division was expanded from ten to twelve clubs. - Second Division would contain a maximum of twelve clubs, with new clubs invited to apply for entry (the number of clubs remained at ten in 1982 but soon reached the limit of twelve when Springvale and Kilsyth were admitted in 1983). - The Executive Committee would also determine promotion and relegation at the end of each season, based on the above criteria. - Automatic promotion and relegation based on ladder placings was abolished (this change was later overturned during the 1983 season). The names of the promoted and relegated teams were announced in September 1981 after the Second Division Grand Final, with four teams to be promoted based on their potential and two to be relegated. Second Division premiers in 1981, winners of two titles in three seasons. Their previous promotion in 1980 had lasted just one year but they were strong off-field and had strong crowd numbers due to their recent success. Second Division runners-up in 1981. As was the case in 1963, Waverley were the beneficiary of an unexpected return to the top tier; promoted despite being one of the lowest-drawing clubs in the VFA [The Age, 12-9-1980]. Local rival Oakleigh had been heavily favoured for promotion but Oakleigh's large migrant population, perceived as favouring soccer over Australian football, tipped the vote in Waverley's favour. Second Division 4th in 1981. Admitted to the VFA in 1965, the club had been a perennial struggler with only one finals appearance in their first sixteen seasons. However, in 1978 Werribee's board had committed to a five-year plan aimed at growing the club's finances, improving their on-field performance, and constructing better facilities. [The Age, 4-6-1980] Their timing could not have been better with the culmination of the plan coinciding with the restructure of the VFA's divisions. By the time of the VFA's decision the club had just played its first final series since 1968, was financially sound and had opened a new $200,000 social club. Second Division 7th in 1981. Williamstown was the oldest of the VFA's foundation clubs, having joined the Association in 1884. Although they had been relegated after the 1977 season and had continued to struggle on-field in the following seasons, their historic status, healthy finances and a large supporter base secured them a place in the top division. First Division 9th in 1981. Caulfield's finances were less than sound and facilities at their home ground had slipped well below the VFA's required standards by the time of the divisional restructure. It was these factors, combined with a dwindling supporter base, that consigned the Bears to Second Division. First Division 10th in 1981. As with Oakleigh, a steady influx of European immigrants into the Brunswick area had eroded the club's supporter base; the local community showing a clear preference for soccer. The prospect of further struggles off-field and a lack of local juniors was enough to ensure the club's relegation. - GEELONG WEST suffered a financial crisis in 1980-81 but had recovered sufficiently to persuade the VFA they could continue in the top tier. - COBURG faced similar challenges as Oakleigh and Brunswick but decent facilities and on-field strength (VFA premiers 1979, runners-up in 1980) ensured their survival. - CAMBERWELL initially thrived after promotion, drawing large crowds and playing finals in 1984 (their first top-level finals campaign since 1945). However, a financial crisis in 1985 saw a number of unpaid senior players leave mid-season and the club barely survived a winless 1986 campaign - which included a VFA-record 315 point loss. Relegated to Second Division, Camberwell fought back and later rejoined the top tier when divisional football was scrapped. The higher level of competition proved beyond them though, and after suffering through two winless seasons in 1989 and 1990 the club left the VFA prior to the 1991 season. - WAVERLEY proved a poor candidate for promotion; still unable to draw large crowds and registering only three victories in 1982. A freeze on promotion and relegation allowed them to survive another year but after a winless 1983 season and second straight wooden spoon they were relegated to Second Division. The club rallied to finish second in 1987 but folded prior to the 1988 season due to financial problems. In contrast Oakleigh, who had been overlooked for promotion in favour of Waverley, continued to draw solid crowds and played finals in 7 of the next 8 seasons, winning the 1988 Second Division Grand Final. They survived in the VFA until the end of the 1994 season. - WILLIAMSTOWN made the most of their opportunity, playing in three Grand Finals (1985/86/88) during the divisional era and winning the premiership in 1986 and 1990. The club continues to play in the VFA-VFL. - WERRIBEE played just four seasons in First Division, never finishing higher than 7th. However, they survived the collapse of the divisional era and were a regular finallist throughout the 1990s, winning the 1993 title. The club continues to play in the VFA-VFL. - BRUNSWICK remained strong for the next four seasons, playing finals each year. They finished as runners-up in 1983 and earnt promotion in 1985 by winning the Second Division Grand Final. The recruitment of controversial forward Mark "Jacko" Jackson brought in sponsorship dollars and increased crowds early in 1986 but it was a brief resurrection for a club with a growing lack of local support. By 1990 the club had renamed itself Brunswick-Broadmeadows ahead of a planned relocation to Broadmeadows in 1991, but folded before making a move to their new home. Northcote fought back from a 30 point halftime deficit to win the Second Division premiership by 5 points, ending a 24 year wait for a title. However, they were not promoted because the VFA, as part of the 1981 restructure, had decided no promotion or relegation would take place after the 1982 season. Waverley were extremely fortunate to remain in First Division after finishing last with only three wins, all early in the season. The freeze on promotion and relegation was eventually lifted in July 1983 with the old system of automatic promotion and relegation re-instated, a year too late for Northcote who had begun their journey to extinction. Northcote finished mid-table in 1983 and Waverley, the team they should have replaced in First Division, were finally relegated after finishing winless and posting a 27 game losing streak across the 1982-83 seasons. Both teams left the VFA after the 1987 season. During the season the Association decided on a further restructure of the divisions, resulting in two extra teams being relegated from First Division: Prahran (third last) and Box Hill (second last). This reduced First Division to 10 teams and the weaker Second Division was increased to 12 teams. [The Age, 11-5-1985] Both relegated teams quickly bounced back with Box Hill earning promotion the next season and Prahran two seasons later. 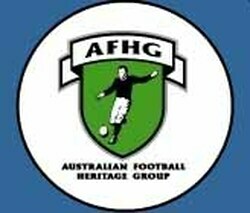 CAULFIELD (9th) - forfeited their last game in 1987 because of unpaid levies due to the VFA. Suspended from the competition by the VFA at season's end. MORDIALLOC (10th) - played the first 3 games of the 1988 season then withdrew due to financial problems. NORTHCOTE (11th) - had constant financial issues but it was a lack of local support (they had only 60 members in 1987) that led to them being removed by the VFA at season's end. MOORABBIN (12th) - lost their opening two games of the 1987 season then forfeited two matches leading to the VFA suspending the club for the rest of the season and removing them from the competition at season's end. The exodus of clubs continued with long-time stalwart Geelong West departing after the 1988 season; leaving just five teams in Second Division. The VFA's hand was forced and the divisional system was scrapped. Camberwell, Dandenong, Oakleigh, Sunshine and Werribee were the only Second Division clubs to survive the divisional era and re-join the merged 15 team competition. Had the divisional system continued Prahran would have been relegated and Oakleigh promoted after the 1988 season. When the VFA split into two divisions in 1961, a system of promotion and relegation was introduced: the last-placed team of First Division was relegated and the premier team of Second Division was promoted. At the same time the VFA introduced a play-off match which was held the week after the Second Division Grand Final. The match provided the runner-up in Second Division another opportunity to earn promotion by defeating the second-last (9th) team of First Division. Due to a lack of support from clubs the concept was scrapped after the 1962 match.